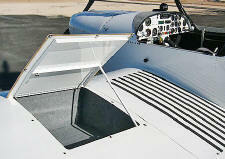 The ZODIAC CH 650 (and the earlier ZODIAC XL model) feature an efficient wing design for increased capability. 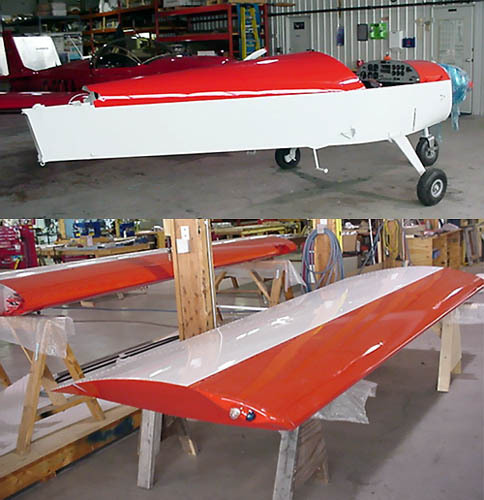 The wing design features a new airfoil and a larger wing area than the ZODIAC CH 601 HDS model, which allows the new Zodiac design to achieve higher speeds with a higher payload. 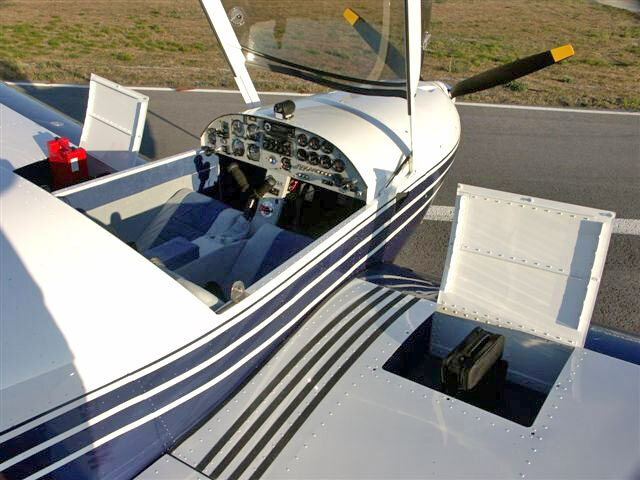 With the addition of wing flaps, the stall speed has been kept low for recreational sport pilots. 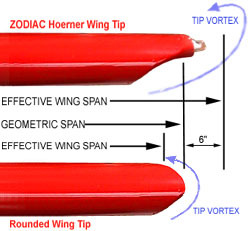 The profile of the ZODIAC wing is 15% thick (Riblett GA 35-A-415 airfoil). Ailerons and flaps on the trailing edge. 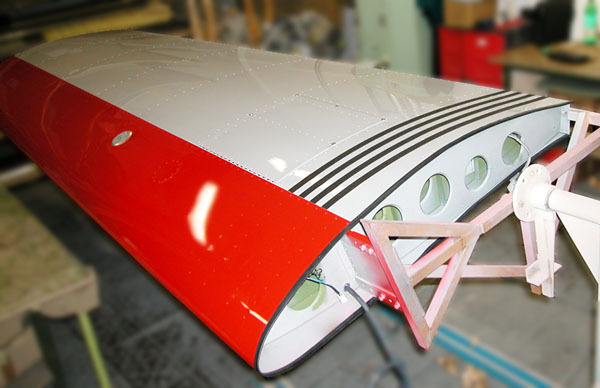 Wing dihedral is standard, starting at the fuselage. Located inside the wing (behind the spar), the optional Wing Baggage Locker increases "carry-on luggage" space with dual wing baggage lockers. Each locker measures approx. 19" (48 cm.) x 16" (40.5 cm.) x 9" (23 cm.) tall. Click here for an additional photo. Click here for an additional photo (closed door). 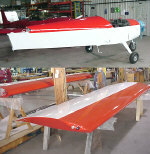 The large ailerons provide precise and light roll control. 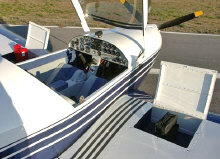 The standard ailerons are attached to the wing with a unique "hingeless" system, flexing the aileron skin which is riveted to the top of the wing trailing edge. 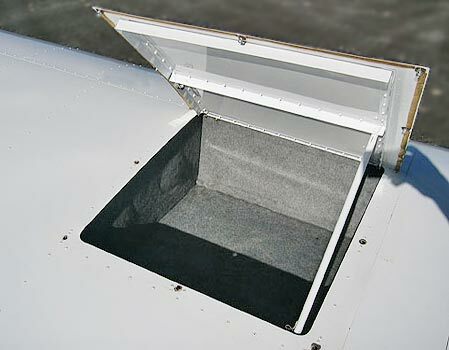 [Click here for additional details on the "hingeless" ailerons.] Alternatively, a conventional "piano hinge" can be used. The ZODIAC has been configured to take full advantage of its increased useful load. 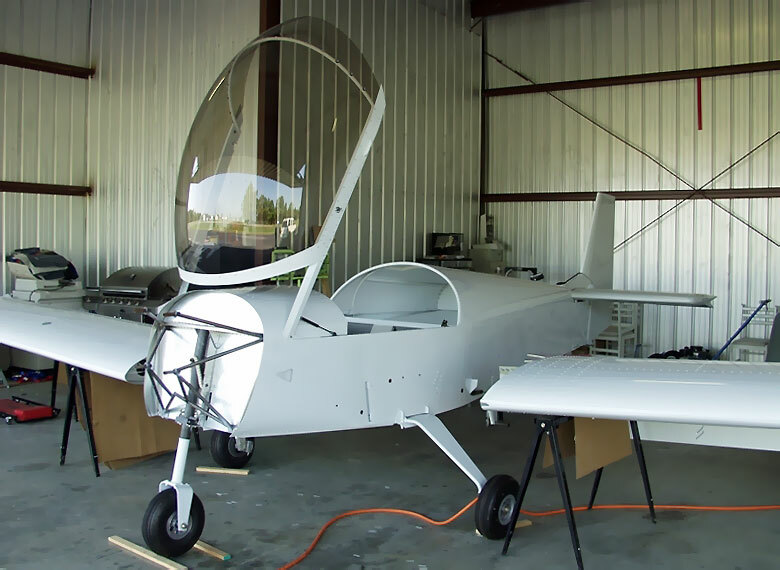 The fuel is located in dual welded-aluminum wing tanks. 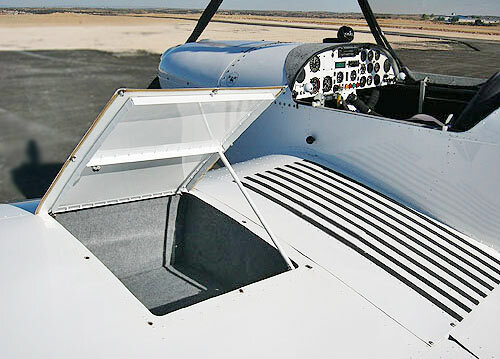 The standard dual wing tanks offer a fuel capacity of 24 US gallons. Long Range fuel tanks are optionally available, which increase the total capacity to 30 US gallons (2 x 15 gallons) to provide superior range and endurance.